Are you interested in bringing older adults and young children together? 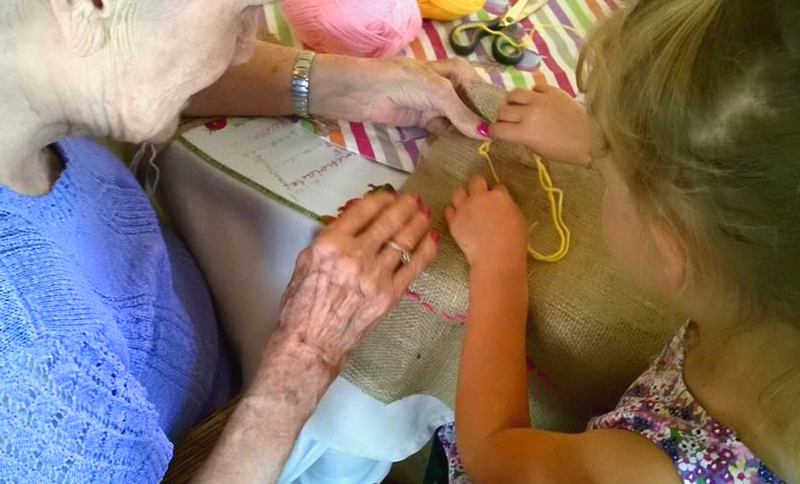 Do you want to know more about intergenerational learning? We offer you the unique opportunity to join the online course, “Together Old and Young: An Intergenerational Approach”. Intergenerational Learning brings together people from different generations to share knowledge, skills, values and have fun together. Intergenerational Learning can make an important contribution to bridging the gap between different social groups in society. The online course “Together Old and Young: An Intergenerational Approach” is unique in its focus on young children (0 – 8 years old) and older adults (65+ years old) and aims to promote awareness and expertise to support you in developing good quality, sustainable intergenerational practice. Through this course you will learn about intergenerational practice and discover practical ways to create opportunities for Intergenerational Learning in your own area. This online course is designed to help anyone who wishes to provide continuing professional development opportunities in Intergenerational Learning. There is no requirement for participants to possess prior knowledge or experience on Intergenerational Learning. In leadership positions in any of the above areas. Understand the concept of Intergenerational Learning and how it differs from other forms of learning and intergenerational practice. Be able to outline the benefits of bringing different generations together especially young children and older adults in a meaningful way . Realize how Intergenerational Learning can be applied within a wide range of contexts and settings . Plan and take steps towards implementing an Intergenerational Learning activity involving young children and older people . Become familiar with some tools and techniques used to facilitate meaningful intergenerational relationships. "Together Old And Young: Practitioners Learning And Upscaling Skills"